6 Results matching title or description. 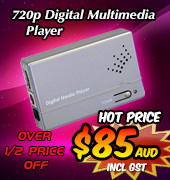 HDMI 4 In over 4 x HDMI & CAT Cable Dual Output Matrix is designed to connect 4 source HDMI video signals to any one of 4 x HDMI and 4 x single CAT5e/6/7 cable outputs for transmission to 8 separate HDMI enabled HDTV's located in other areas. 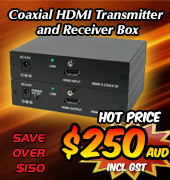 The Matrix feature allows any one of the 4 source HDMI signals to be connected to one, or all, of the 4 x HDMI and 4 x CAT5e/6/7 cable outlets. Connect any input to any output simultaneously. 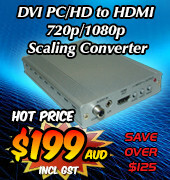 Full support for PC resolutions VGA ~ WUXGA, SD/HD 480i/p ~ 1080i/p, all 3D formats plus digital audio LPCM and Dolby.